Active Citizens for Europe: A guide to the European Union – "The Europe we want is for all ages"
AGE issued in November 2012, a publication aimed to improve older people’s understanding of the EU decision-making processes and of civil society’s involvement, and to facilitate their active participation in policy debate. 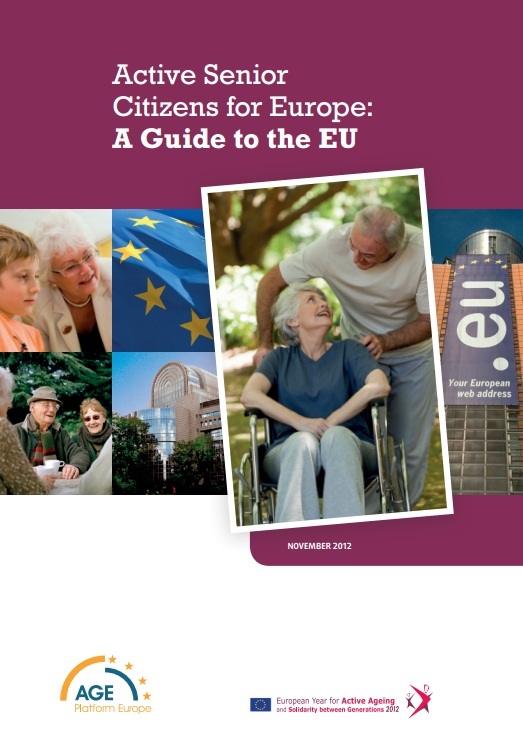 The brochure Active Citizens for Europe: A guide to the EU is available in English and French. It will be soon available in German, Slovene, Slovak, Portuguese, Greek, Italian and Bulgarian.